As a new year unfolds before us, we as a team at Cuipo remain confident and believe 2019 will be a phenomenal year for real ‘Climate Action.’ As we watch daily on our news channels, we see the growing movement of millennials and Generation Z’s taking charge and fighting to be heard. 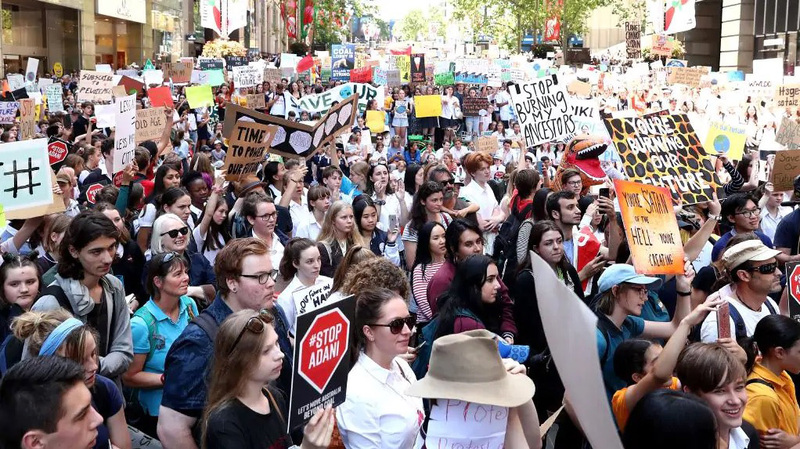 Thousands of school students protest across the globe by taking part in ‘School Strike For Climate Action – #SchoolStrike.’ Making Climate Action directly accessible to all is the next step in this global movement. Small changes in our purchases and consumption on mass will make a profound positive impact. The purchases we make on a daily basis will determine how climate change grows or reduces. While we wait for the slow-moving government and institutions to change their energy sources or rethink their outlooks, we can all make a difference if we act now in any small way we can. Alan Laubsch, one of the Cuipo founding members, shares his insights below on some critical events that have happened in recent months. The IPCC report released recently gave a startling reality check on our timescale to the tipping point of no return, how do you think we can create immediate action to prevent this? Our biggest hope lies in a people’s revolution powered by networked technology. With global support, leaders of governments and corporations will be persuaded to act decisively to fund climate action and regeneration of natural capital. Natural capital consists of vital ecosystems such as rainforests and wetlands which make life possible on earth and have intrinsic value: we can’t live without oxygen, clean water, and healthy food. Blockchain technology, in particular, will empower a rapid economic shift. Imagine Bitcoin backed by natural capital as the world’s most valuable currency. The good news is that an investment of just 1% of global wealth could enable humanity to be Earth Positive. Earth Positive is a pledge to leave Earth better than we found it and to strive for a Net Positive impact across biodiversity, climate, and community. David Attenborough at the UN gave a call to action speech to engage the audience, do you believe shows such as Planet Earth and Blue Planet make an impact, if so how? David’s call to action is a global rallying cry to protect Mother Earth now before irreversible tipping points are crossed. Our generation is the only one that can act. It is time to wake from our slumber and to act. We are the ones we have been waiting for. His Planet Earth and Blue Planet show the awe-inspiring beauty we are fighting to protect. The Blockchain revolution has made a considerable impact already in the environmental space, how do you see Blockchain driving Social Impact in 2019? Blockchain has tremendous potential by empowering any global citizen to vote with their funds. We will see a family of impact based cryptocurrencies, and incentives for Verified Impact Tokens (VETs) which will enable the funding of any social impact. Think Bitcoin backed by trees. Why mine when you can plant? The millennial generation hold the future of our planet in the palm of their hands if they choose to purchase from sustainable brands, are you seeing corporations and brands globally taking more interest in corporate social Responsibility? All leading brands recognize the importance of corporate social responsibility. Brands without sustainability and regeneration on the agenda will become less relevant. What goals do you have for 2019 and how are you going to help drive the ‘business for impact’ message? My biggest wish is for the world to unite to protect Mother Earth, and to chart a thrivable future for everyone with humans living in harmony with nature. My message is that we can do it if we put our intentions on it.